Wayback Machine is a simple website that keeps tracks of millions of websites available on the Internet. If you are a website owner or serious Internet user then you might have heard of Wayback Machine. Wayback Machine is a non-profit organization that store copies of millions of websites in their server. 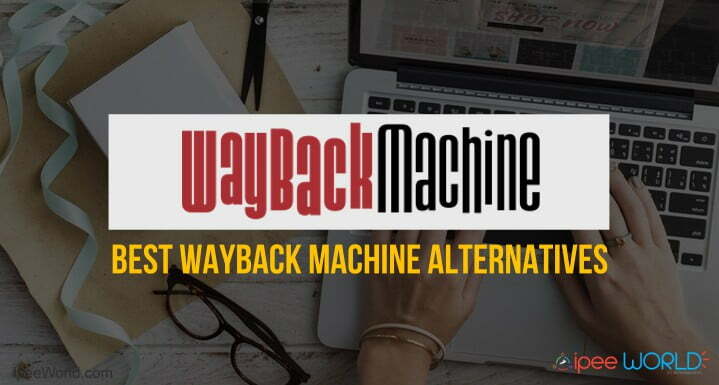 If Wayback Machine failed to do its job for some reason, here are few Best Wayback Machine Alternatives that you can try right away to see how a website looked in the past. 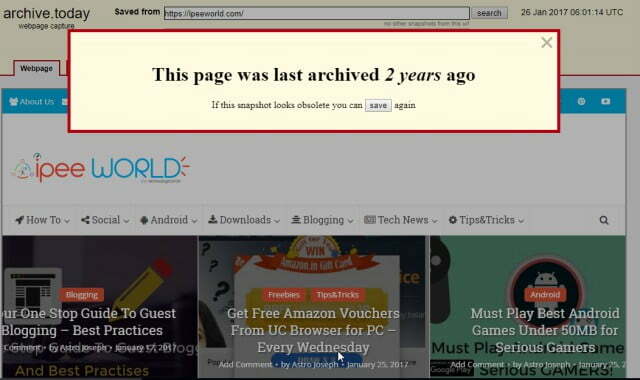 Internet Marketers will surely know the importance of these kinds of Internet Archive websites. You can take a look back and see how a website or trend evolved over time, How a website looked back then, Access Websites which are down now and a lot more. Below is the article, we will discuss more on Internet Archive services and Sites like Wayback Machine to take a look back. For starters, Internet Archives are websites that stores copies of millions of Web pages. These websites won’t have data of a complete website, instead, they store some pages of a website. You may or may not find recent data about a website in Wayback Machine. If you were not able to find data about a particular website then you can make sure of Sites like Wayback Machines to see if the data are available on similar sites. Mirror Android Screen to PC/Laptop – Windows. As of now, Wayback Machine is having more than 347 Billion+ stored web pages all around the Internet and are accessible to the public. This is one of the best Internet Archive websites to see how a website looked in the past and also to get information that is no more available on the Internet. In short, Wayback Machine is such a life saver for many serious Internet users who want to make most out of Internet Archives. 1.0.1 Why Use Internet Archives? It is not 100% sure that you will find a copy of a website in the Wayback Machine database. For some reasons, if you were unable to find the details about a particular website then you can make use of sites like Wayback Machine, which provides similar Internet Archive service to the public for Free. Moreover, some websites mentioned below also lets users create and store the copy of a website in a single for future reference. Meaning that you will able to create an archived version of a webpage with some websites mentioned below. Access web pages or sites that are deleted or removed. To find edits and differences in any website that has been crawled by any Internet Archiving services like Wayback Machine. So, here are the list of best alternatives, have a look at all services and choose the one solves your need. When talking about sites like Wayback Machine, the first website that comes to my mind is Screenshots. This is yet another Internet Archive website which is very close to Wayback Machine and top of all other Wayback Machine alternatives. Wayback Machine is having more than 347+ Billion crawled pages, while Screenshots is only having about 300+ million web pages at the time of writing this article. But no other websites are having a figure close to it. So, this is the reason why Screenshots is included at top of the list. 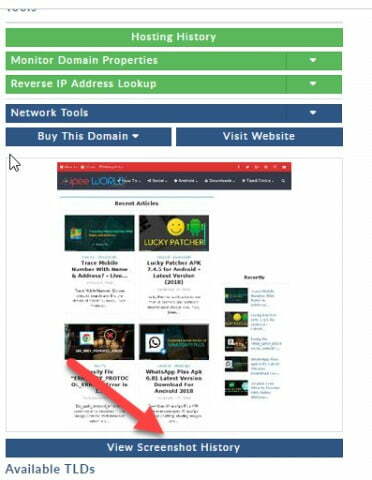 Screenshots work in accordance with DomainTools WHOIS Database. The interval at which the screenshot of a websites gets saved depends on how frequently the website is being updated with fresh new contents. If a website is being updated daily with contents then the chances are high and if the website is not consistently updated then the chances of finding the website in Screenshots server is too low. Archive.is is one of the best Wayback Machine Alternative is used by a lot of people. Archive.is lets you visit any websites or web pages even if they are removed or not accessible. This is free service and easy to use navigation and user interface makes it easy to use the website. At first, on opening the website, you will be presented with the two boxes. The first box can be used to save a snapshot of any website. For that, all you want to is just type in the website URL or web page URL and press the “Save” button. Now, a copy of the particular site/page will be stored in their database. The second box is what you should be using to access a saved webpage. Just type in the address of the site/URL and hit search. If the data is found in their server you will be displayed with the page. DomainTools is basically a Who Is info service provider. This website has data about thousands of website their IP Address and Who is information including contact details, registration date and hosting info, etc. Apart from all these features, this site is also having a screenshot feature which works in the same way as Internet Archive. All you want to do is simply type in the URL of the website in DomainTools and you will be taken to page with lots of information on that particular website. From the right sidebar, click on the section called “Screenshots”. From there you will able to see different versions of the same websites saved in different dates. Click on the “View Screenshot History” button to see how the website looked in the past. This is one of the best sites is that is similar to Wayback Machine. Hope you guys found the ultimate list of all good Alternatives to Wayback Machine. Wayback Machine is a good Internet Archive service which is accessible to the public for free. For some reason, if you are not able to access their website and services then you easily make use of Alternative sites and get your job done. All the websites mentioned below are personally tested by me and I found it very useful. Even, I searched for ipeeworld.com and found an older version of my site in every website mentioned above. So, the accuracy and crawl frequency is really good. Now, it’s your turn to try the website and see if you are able to find older versions or snapshots of any particular websites.